A Spring Wild Food UK treat using St George’s mushrooms and wild garlic, for a simple match made in wild culinary heaven. Fry some mushrooms in a little butter then add the cream and stock. 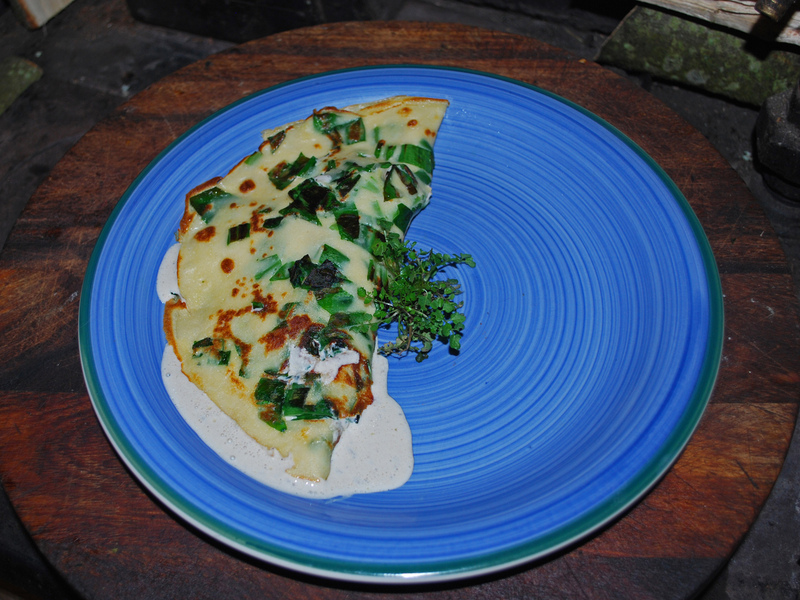 Make a normal pancake batter then add some shredded wild garlic leaves and fry in some butter, making a slightly thicker pancake than normal. Serve the mushrooms in the middle of the folded over pancake with some hairy bitter cress to garnish.